Sean (Siming) Wu had never even given hockey a second thought. Growing up in China, hockey was never even on the radar of the young avid sports fan. That all changed when a friend invited Sean to be a goaltender at his team’s practice. 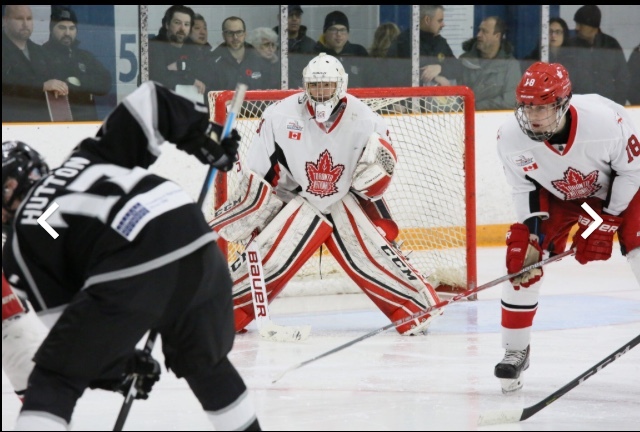 Upon suiting up in net, Sean developed an immediate passion for the game, leading him to follow his friend to Toronto to enroll in competitive minor hockey. The sacrifice of leaving his home country has paid off, with Wu recently selected to represent Team China during the IIHF World Junior Divison III tournament in Reykjavik, Iceland. The tournament will reunite Wu with longtime friend Edward Yan – the same friend who initially ignited Wu’s love for hockey. Yan played in the GTHL for eight seasons, while Wu has played at the “AAA” since his Minor Atom season. This marks Wu’s eighth season with the Toronto Young Nationals and his ninth in the GTHL. With Canada’s recent sixth-place finish at the World Juniors in Vancouver, Yan is hoping for a different result for the Chinese team. Wu’s teammates on the Nats will be cheering him on from Toronto as they continue to compete in GTHL action. The Nats are currently chasing the Jr. Canadiens for first in the division. Team China has already kicked off the tournament, going 2-0-0 in their first two games. Click here for a full tournament schedule for 2019 IIHF World Junior Divison III competition.